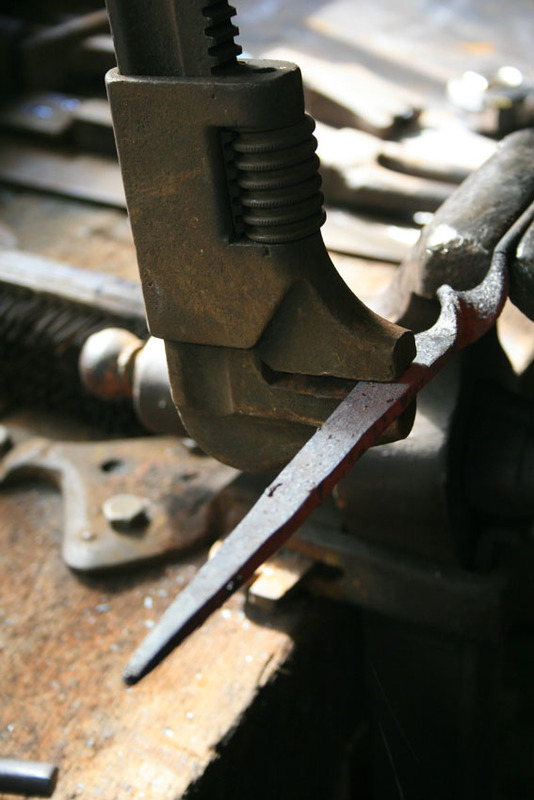 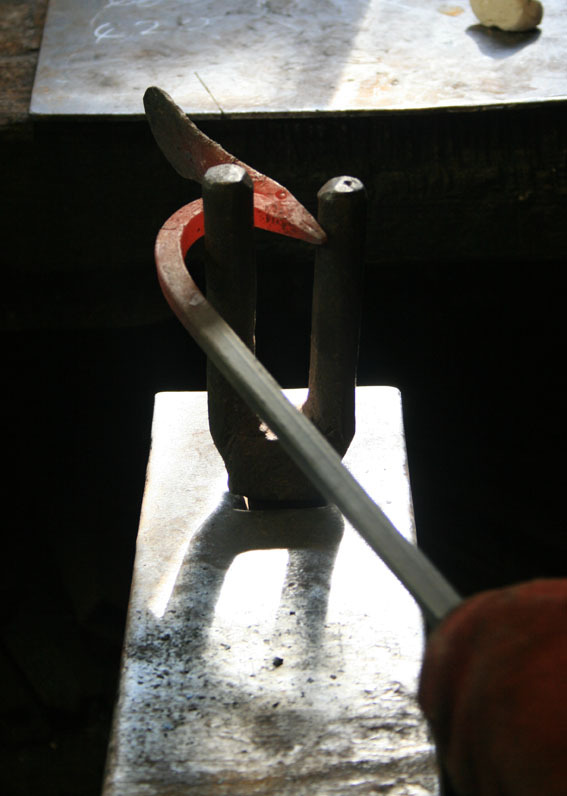 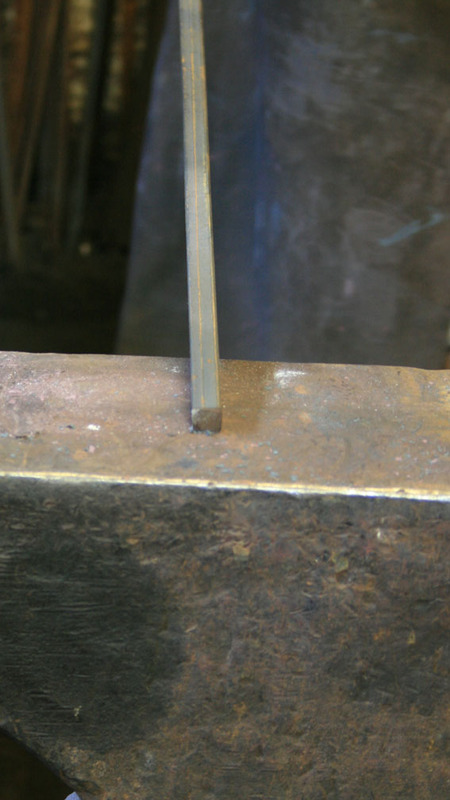 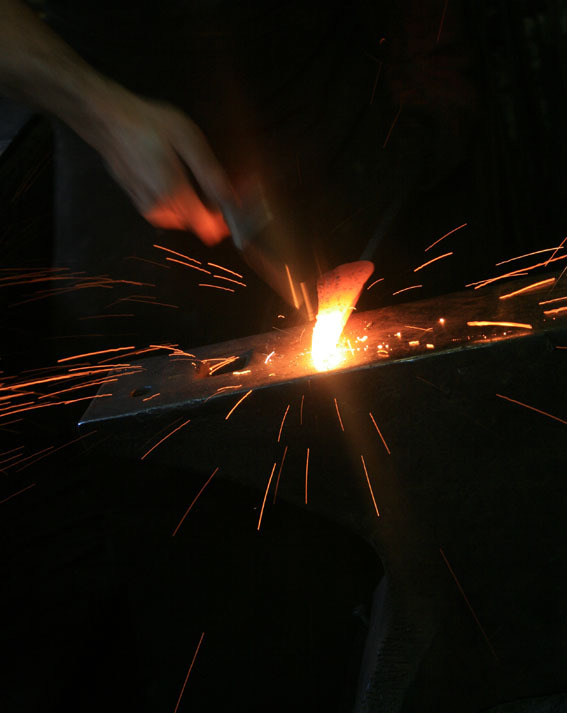 A modern blacksmith generally works with mild steel. 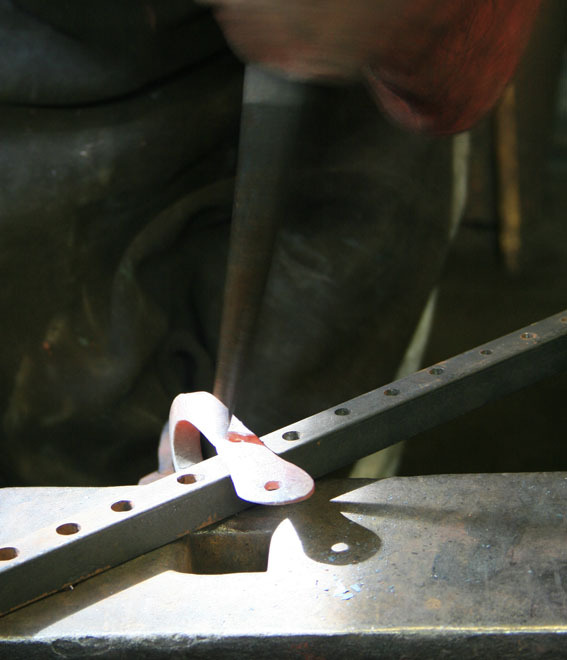 I can also work with wrought iron and cast iron for restoration projects. 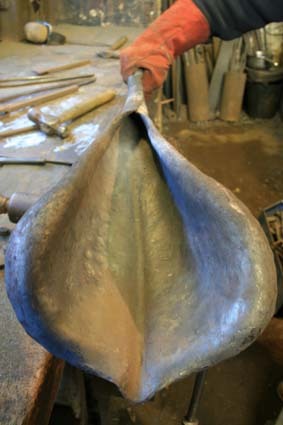 Other materials can also be incorporated into a design to add colour, texture, contrast, reflect light/images or to help the function of the piece. 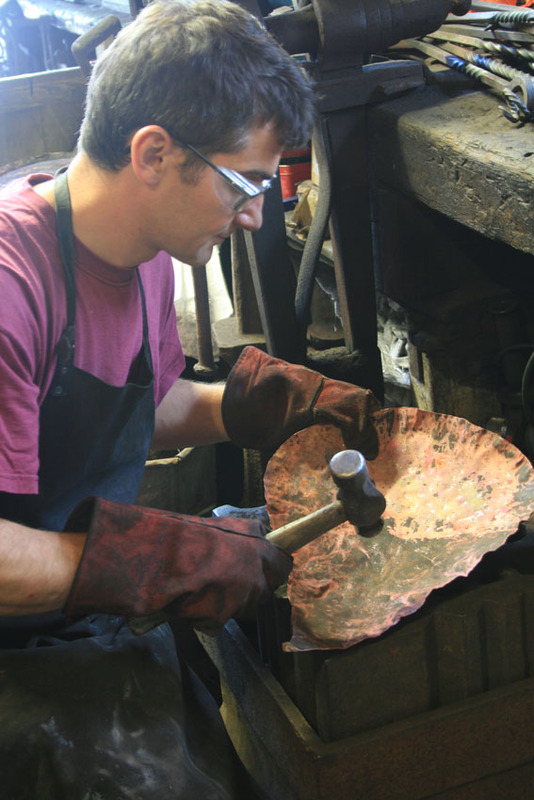 Other materials include coloured and plain glass, wood, stone, mozaic tiling, copper, stainless steel, brass, bronze, paint, wax and oil. 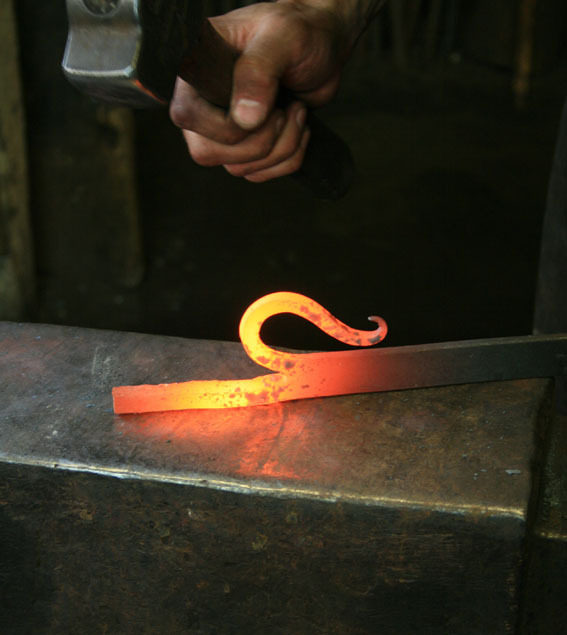 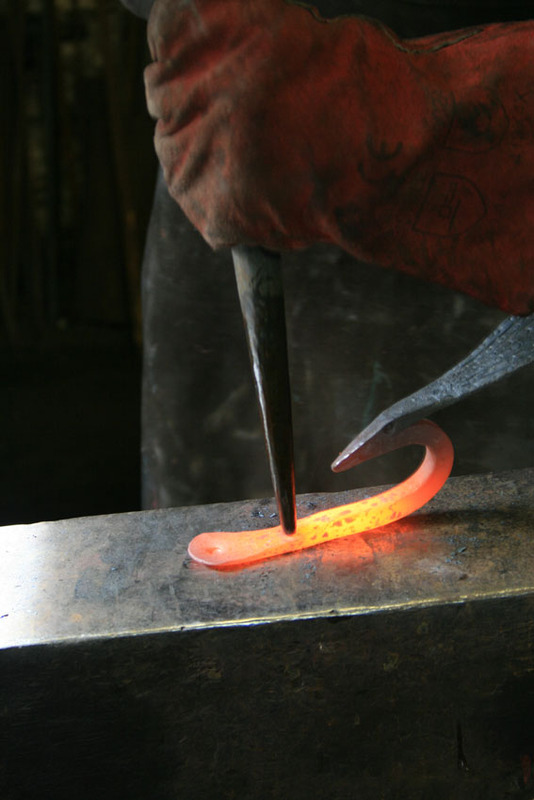 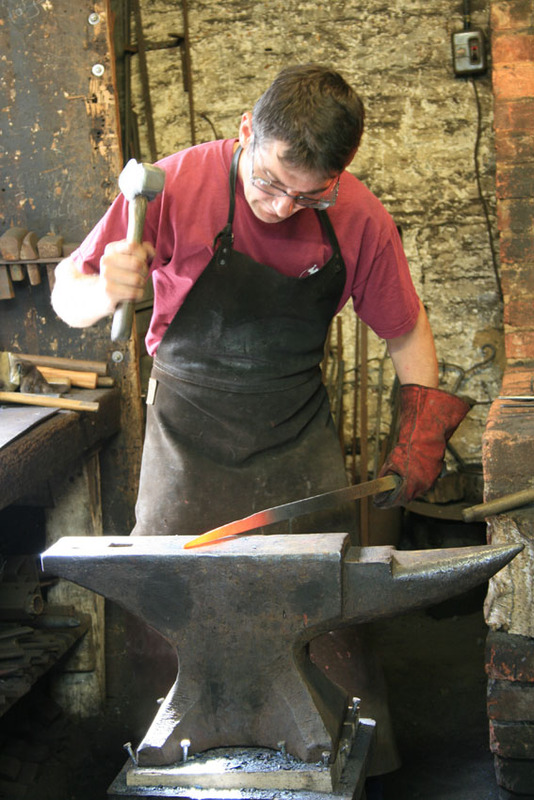 Blacksmiths, mainly over the past 3000 years, have invented various techniques to work the material in different ways. 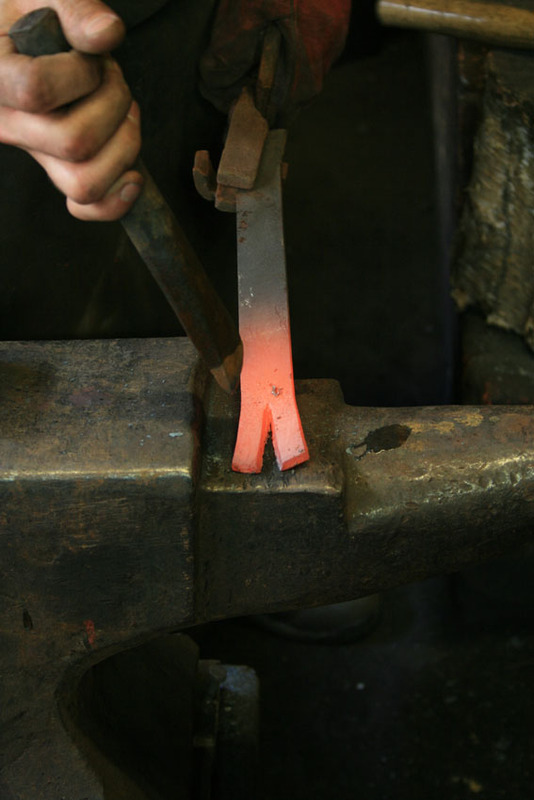 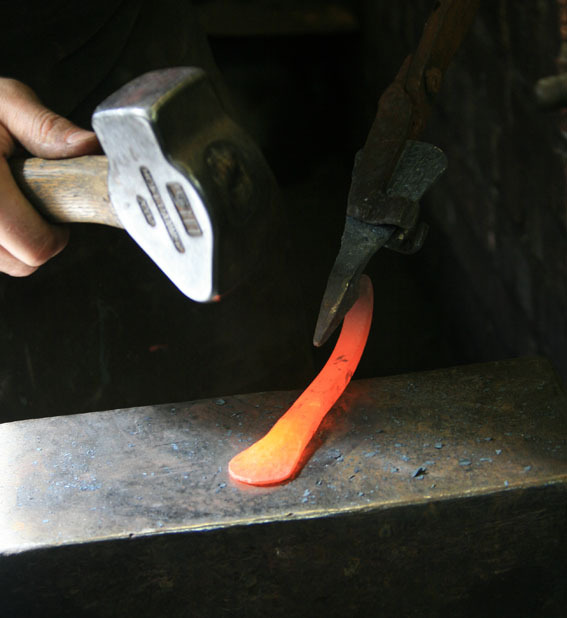 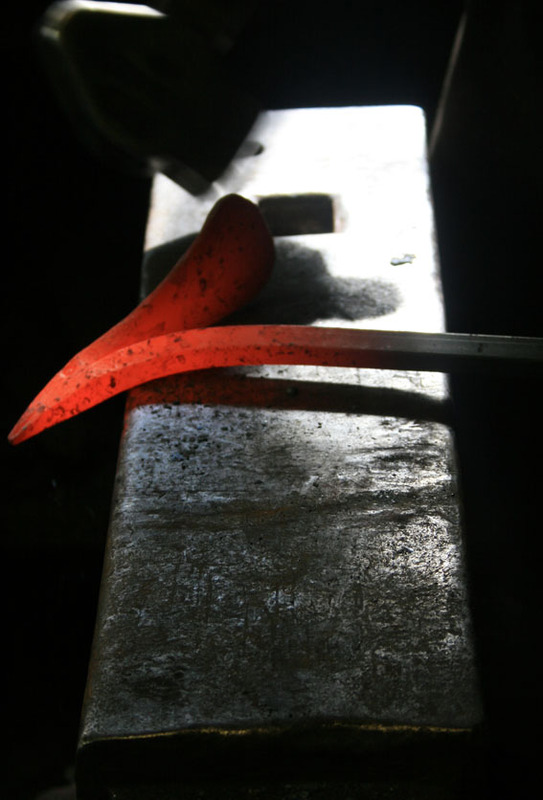 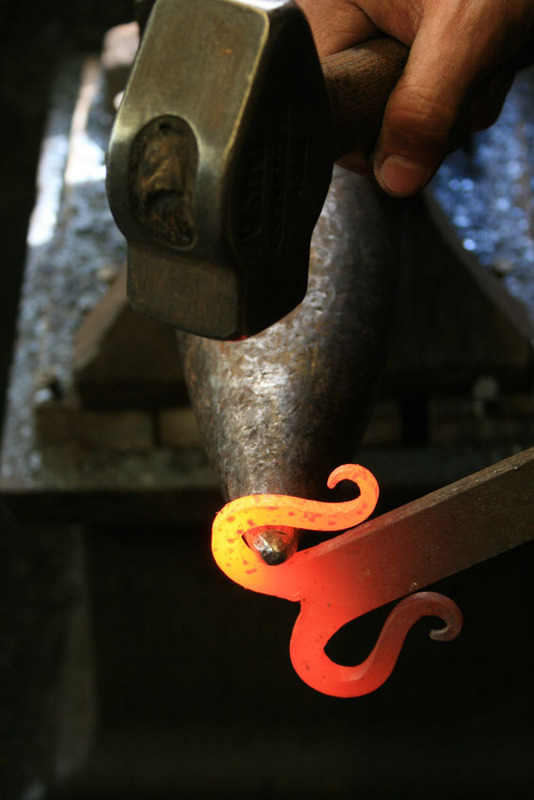 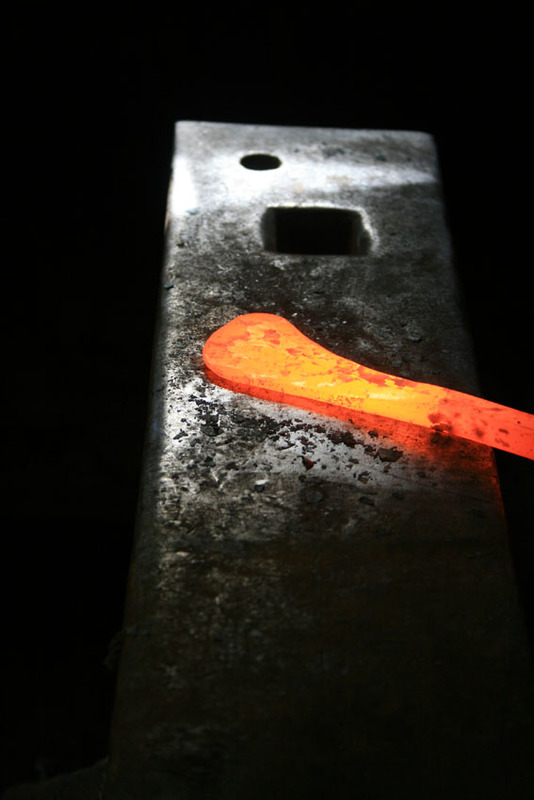 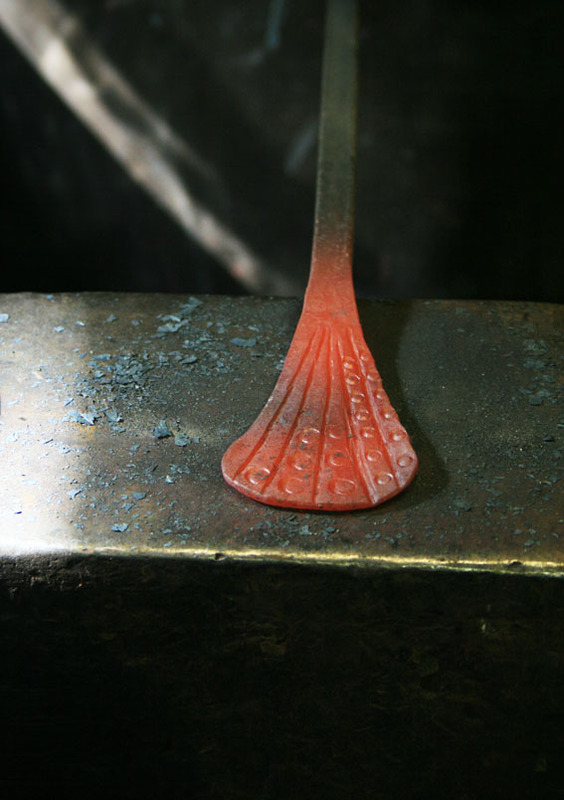 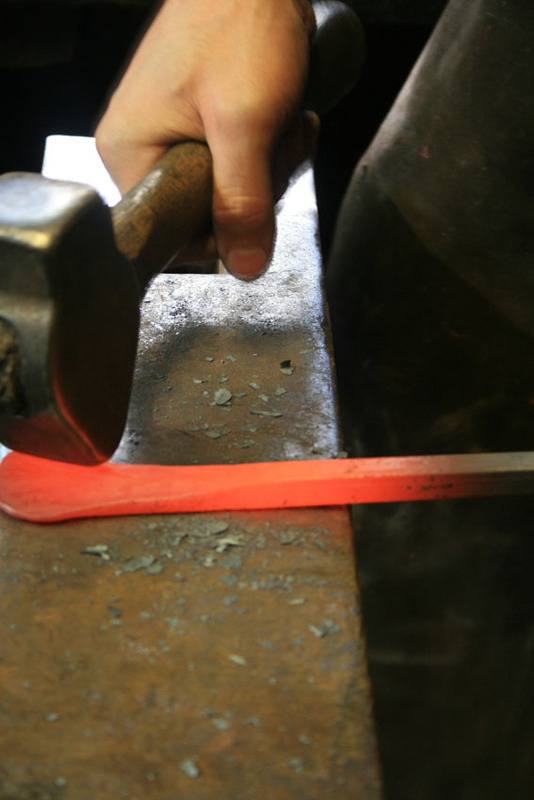 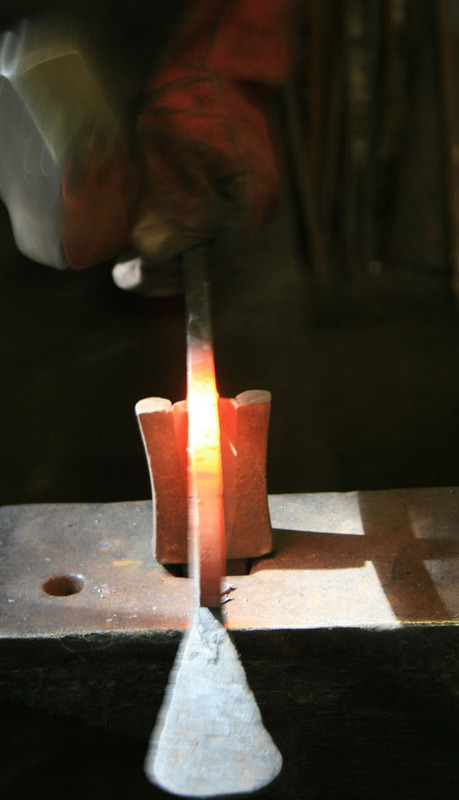 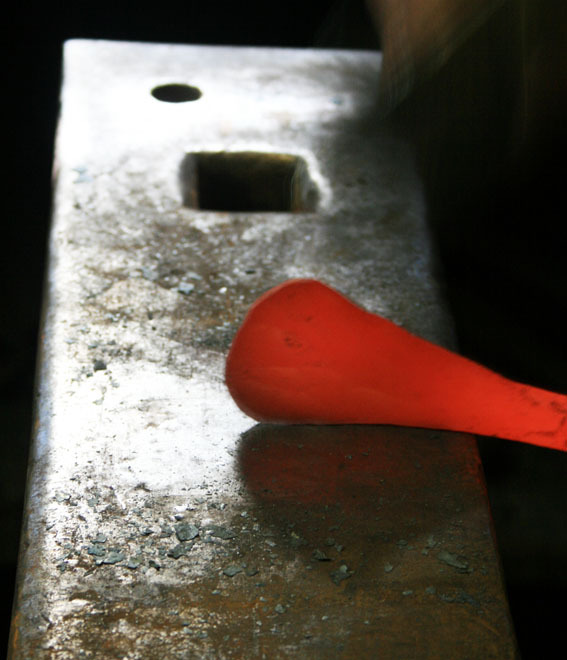 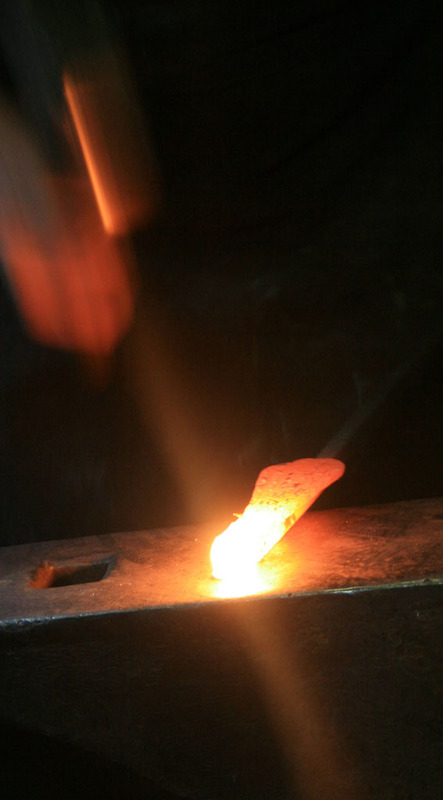 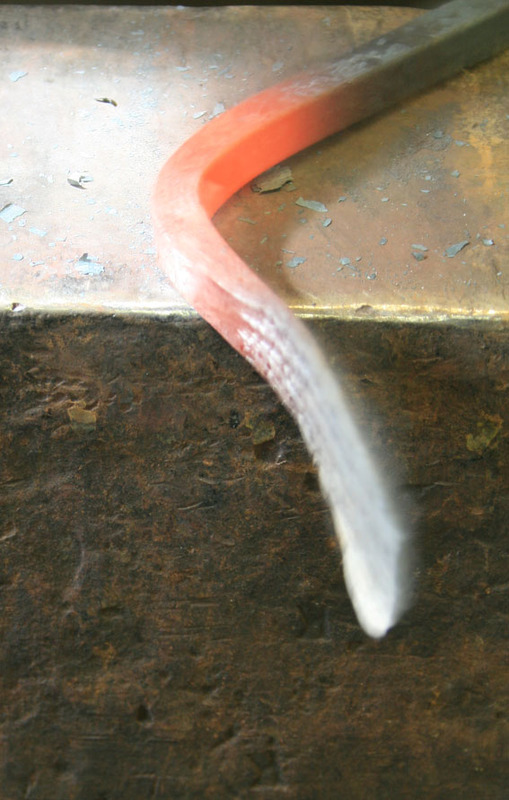 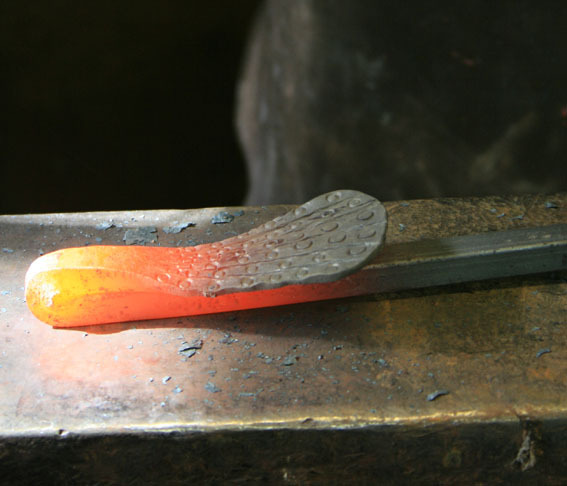 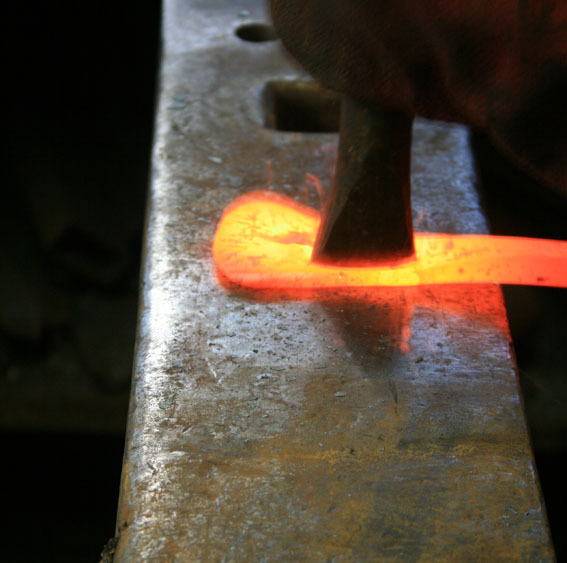 The techniques are performed when the material is hot and malleable and include forging [spreading, drawing down and upsetting], splitting, punching, twisting, bending, dishing, fire welding, heat treating [normalising, annealing, case hardening, hardening and tempering] and joining [rivets, collars and mortise and tenon joints]. 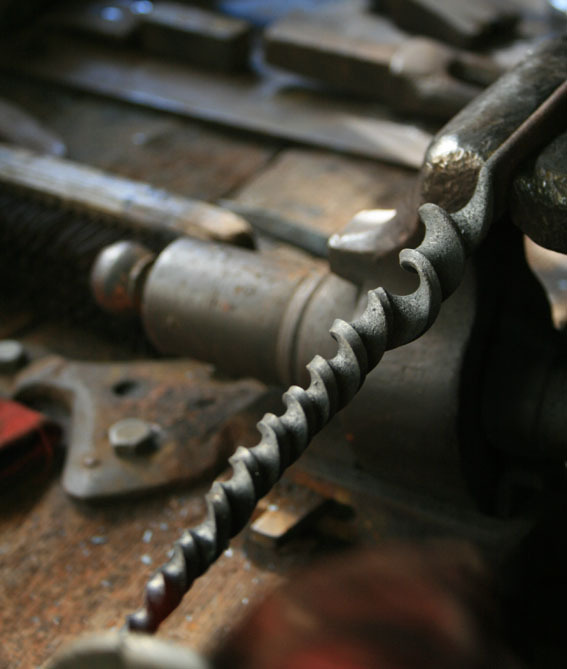 All these techniques can be used individually or combined together to create a rich and infinite variety of functional and decorative items. 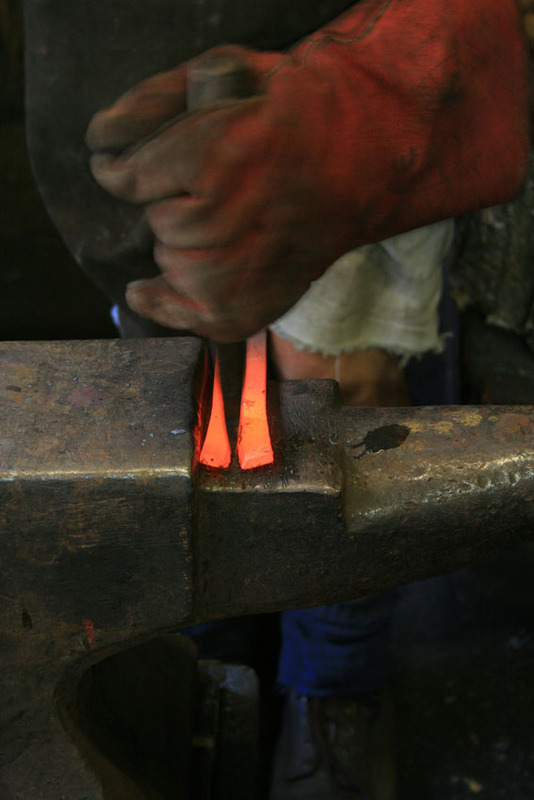 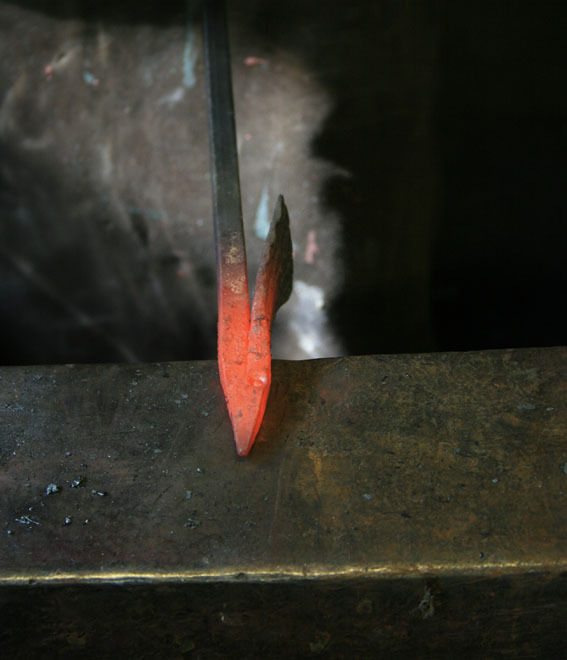 Using the techniques and the heat from the fire the iron becomes malleable and the blacksmith becomes free to do what he likes and, more importantly, what the client likes. 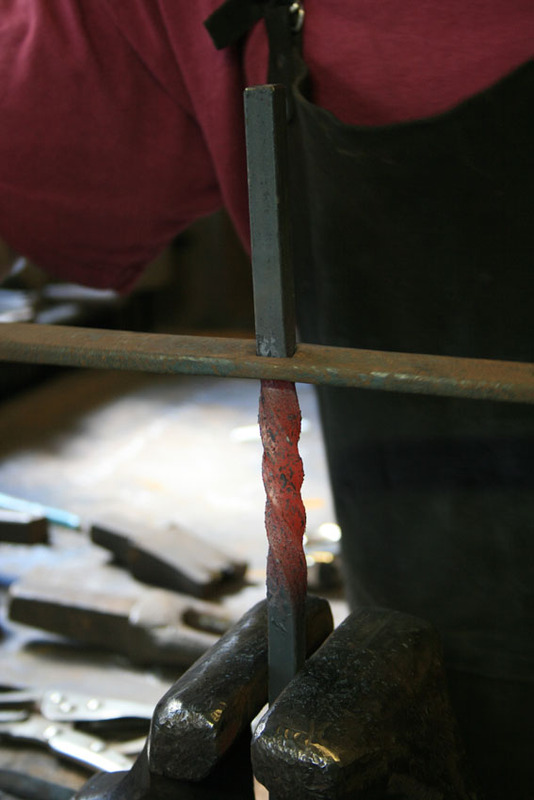 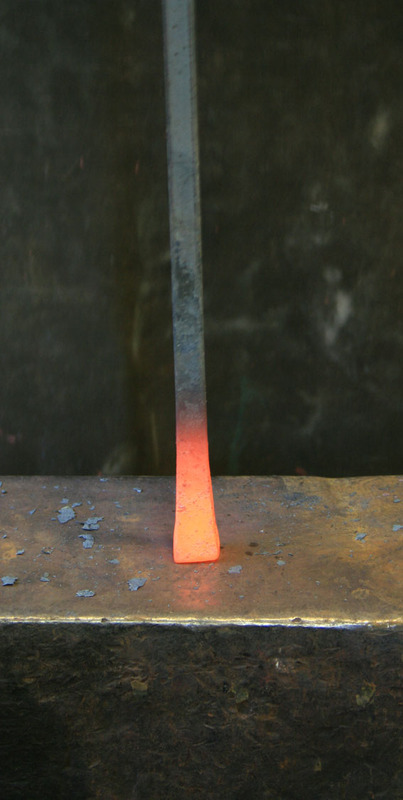 Fire welding the fold together by heating the bar up to melting point and tapping it together so it joins into one piece - amazing metal!